Of all the OE manufacturers at Geneva Mercedes undoubtedly had the biggest spread of models. Stretching from small electric city cars with the smart fortwo to ultra luxury with Maybach and high performance with AMG, Mercedes offered something for everyone. The smallest vehicle on show was the smart forease+ concept that succeeds the forease concept shown at last year’s Paris Show. This cute electric city car features a light and strong removable roof shell covered in textile fabric that gives it the look of a convertible. Looking like a cartoon caricature of a smart fortwo, the forease+ concept oozes the kind of youthful innovation that makes the smart brand so much fun. Maintaining the impetus behind electrification and following hot on the heels of the EQC, Mercedes presented their Concept EQV, an all-electric version of the face-lifted V-Class. Powered by a 150kW (201hp) electric motor driving the front axle and fed by 100kWh Lithium-Ion battery the EQV has a claimed range of around 400km. Mercedes has a habit of turning their concepts into reality. Thus, we were not surprised to hear that a production version will debut at Frankfurt in September, and go on sale within this year. The fastest electric car on the Mercedes stand by far was their EQ Silver Arrow 01, developed and run by HWA, who handled Mercedes’ DTM efforts in previous years. While this car presented the definitive look of this 2019/20 Formula E Season entrant there was not a single trace of silver to be seen in the EQ Silver Arrow 01 concept’s colour scheme. 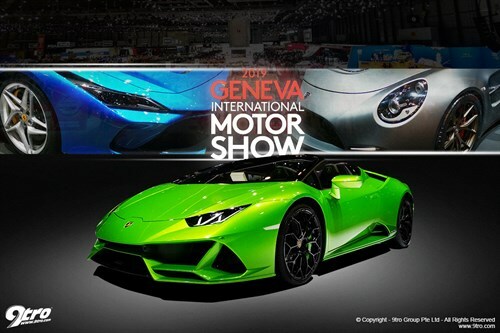 2019 Geneva International Motor Show11 Mar 2019Electric hypercars were the in thing at this year's show. 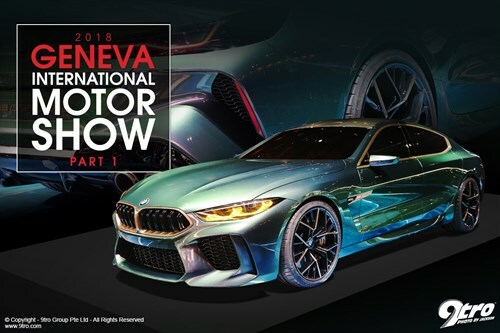 2018 Geneva International Motor Show - Part 107 Mar 2018The car industry’s most popular show, launches with some of the biggest unveilings! The new A-Class hatch has been a great sales success in Europe, with the four-door saloon version critical to US and Chinese markets also doing well. Targeting more niche market customers the stylish CLA Coupe and CLA Shooting Brake join the range, with all models benefitting from the class leading MBUX infotainment system. On a more sombre note, the segment that Mercedes invented with the SLK roadster and its innovative folding hardtop back in 1996 has run its course. Thus the SLC will not be replaced, and the yellow SLC300 on the stand represents the Final Edition. The SL has also been suffering from dwindling sales although we think the ungainly looks of the R231 model have a lot to do with this. An all-new SL that will share its platform with the next AMG GT has been promised for 2020, so the SL Grand Edition shown at Geneva is a last hurrah for this model. The choice is between the 370hp 3.0 litre bi-turbo six in the SL400 and the 445hp 4.6 litre bi-turbo V8 in the SL500. The open version of the AMG GT continues to be desirable though, and the 577hp GT R Roadster made its debut as the range flagship with production limited to just 750 cars. The new GLE has got off to a great start, the latest larger and more versatile version of Mercedes’ full-size SUV even more comfortable and feature laden than before. While the brutally fast GLE63 AMG will not be unveiled till later in the year customers looking for a good compromise between comfort and sportiness will appreciate the AMG GLE 53 whose 429hp turbocharged straight-six punches it to 100km/h in 5.3 sec. Another send-off marks the end of the V12 era for the S-Class. The last car to use the mighty M279 6.0 litre bi-turbo 12-cylinder motor is the S65 AMG, which officially retires with this Final Edition of 130 cars. While lesser companies scrabble around trying to outdo each other in creating the most powerful tuned G-Class, Brabus remain the Masters of the G-Wagen Universe. The race to the top began in earnest in 2004 when they installed a 610hp 6.3 litre version of the bi-turbo V12 in the G-Wagen back in 2004, and it took Mercedes-AMG eight years to launch the G65 AMG. From there the only way was up, and since then Brabus has benefitted from the relatively light and powerful M177 and M178 4.0 litre bi-turbo V8 engines installed in the latest G500 and G63 AMG. Cranked up to 800hp and over 1,000Nm of torque the M178 in the Brabus 800 Widestar blasts this huge machine to 100km/h in just 4.1 sec and on to an electronically limited 240km/h or 149mph! The factory 4x4x2 only came as a G500, so for the tall act on their stand Brabus took a last generation G63, tuned its motor to 800hp, and swapped in the portal axles from a 4x4x2. The Mercedes-Maybach might be one of the last words in luxury but a mere 612hp is not enough for some plutocrats. While Brabus can extract 850hp from the bi-turbo V8, the larger 6.0 litre V12 can go to 900hp with 1,500Nm of torque. Performance is beyond impressive for a 2,700kg luxury liner, with 100km/h coming up in a champagne spilling 3.7 sec. But don’t even think about how long it would take to stop this behemoth from its scary 350km/h (217mph) top speed. Mansory always woos the crowd at Geneva with a spread of highly personalised, borderline outrageous takes on supercars and luxury cars. But there is no question that the craftsmanship and finish of their cars is second to none, their mastery of carbon-fibre finishes the best in the industry. This year their two Mercedes based creations were no less innovative, with the mint green S-Class Cabriolet really standing out. Traditionally all Mansory cars have names, and this S-Class Cabriolet was called ‘Apertus Edition’, while their G63 with its low visibility camouflage wrap was appropriately dubbed ‘Star Trooper’. Created in conjunction with car-loving German designer Philipp Plein the Star Trooper packs 850hp and 1,000Nm of torque, and will be made in a limited run of 20. Based in Moscow with offices in Marbella, Miami and Monaco, Top Car sources its carbon-fibre parts from the best manufacturers in Europe. While they specialise in Porsche conversions, Top Car offers styling conversions for the Mercedes GLC, GLE and the old and new G-Class. The first example of their conversion for the latter was making its world premier in Geneva as a full body styling kit with visible carbon-fibre parts and massive 23-inch forged wheels. Situated near Hanover, Klassen specialise in luxury interiors for Mercedes MPVs like the V-Class and Sprinter. They also stretch and armour limousines like the Mercedes-Maybach seen here featuring a 360mm extension and division between the front and rear compartments.